By accessing, browsing and/or using rprouleurs.co.uk you agree to the following terms. Content (information, communications, images and sounds contained on or available through Rprouleurs.co.uk is provided by the Richmond Park Rouleurs. The contents of Rprouleurs.co.uk cannot be reproduced, modified, transferred, distributed, republished, downloaded, posted or transmitted in any form or by any means including but not limited to electronic, mechanical photocopying or recording without the prior written permission of Richmond Park Rouleurs. You agree that the material and content contained within or provided by rprouleurs.co.uk is for your own personal use only and may not be used for commercial purposes or distributed commercially. Richmond Park Rouleurs will use its reasonable endeavours to maintain Rprouleurs.co.uk in a fully operating condition. It is not responsible for the results of any defects that exist in rprouleurs.co.uk. You should not assume that Rprouleurs.co.uk or its content is error free or that it will be suitable for the particular purposes that you have in mind when using it. Rprouleurs.co.uk reserves the right to make subsequent changes to it, and services may be modified, supplemented or withdrawn. It is a condition of us allowing you access to the information on Rprouleurs.co.uk you accept we will not be liable for any action you take relying on the information on Rprouleurs.co.uk. Richmond Park Rouleurs reserves the right to restrict access to certain information on Rprouleurs.co.uk for members of the Richmond Park Rouleurs. 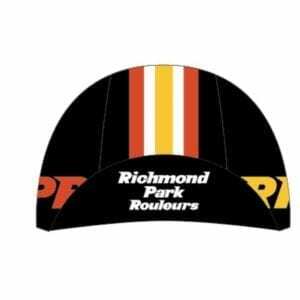 Details of how to obtain membership of the Richmond Park Rouleurs may be found on Rprouleurs.co.uk. If your PC does not support relevant technology including but not limited to encryption you may not be able to access certain information on Rprouleurs.co.uk. You may not mirror any material contained on Rprouleurs.co.uk on any other server without the prior written consent of Richmond Park Rouleurs. Any unauthorised use of the contents of Rprouleurs.co.uk either under this clause or clauses above may be in breach of copyright laws or trademark laws or other UK laws. 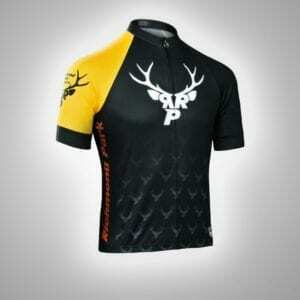 You acknowledge that Richmond Park Rouleurs has no control over and excludes all liability for any material on the Internet which can be accessed by using Rprouleurs.co.uk. Neither can we be deemed to have endorsed the content. 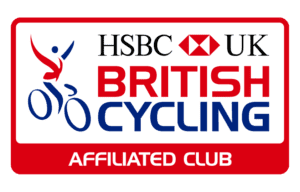 By submitting any material to us via the Rprouleurs.co.uk website, via email or otherwise, you do so in the knowledge that Richmond Park Rouleurs may copy, modify, distribute or create a derivative work from that content in any form. you warrant that the material is fit for publication and agree to indemnify us if any third party takes action against us in relation to the material that you submit. you warrant that you believe Richmond Park Rouleurs may publish the material you submit and/or make use of it or any concepts described in it in our products or services without liability and you agree not to take action against us in relation to it. You agree not to cause, nor knowingly allow others to cause, any nuisance, annoyance, or inconvenience, whether to Richmond Park Rouleurs or any users of Rprouleurs.co.uk by any means. you also agree not to use Rprouleurs.co.uk to transmit or post any material which is defamatory, offensive or obscene or menacing character or which may in our judgement cause nuisance, annoyance, inconvenience to Richmond Park Rouleurs, or any other person or which is illegal. you will not use Rprouleurs.co.uk such that you would cause the whole or part of Rprouleurs.co.uk to be interrupted, damaged, rendered less efficient or impaired in any way. 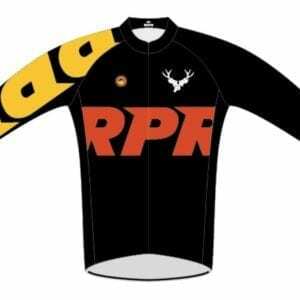 The service is accessed via the World Wide Web which is independent of Rprouleurs.co.uk and Richmond Park Rouleurs. Your use of the World Wide Web is solely at your own risk and subject to all applicable national and international laws and regulations. Richmond Park Rouleurs have no responsibility for any information or service obtained by you on the World Wide Web. Richmond Park Rouleurs do not accept responsibility for any defects that may exist or for any costs, loss of profits, loss of data or consequential losses arising from your use of, or inability to use or access or a failure, suspension or withdrawal of all or part of the service at any time. Richmond Park Rouleurs excludes all liability whether in contract, tort (including liability for negligence) or otherwise for the accuracy, suitability, quality or completeness of any information and the value and integrity of goods and services offered by third parties over Rprouleurs.co.uk. You acknowledge that we have no control over and we exclude all liability for any material on the World Wide Web, which can be accessed by using Rprouleurs.co.uk. We may suspend or vary the whole or any part of the service offered on Rprouleurs.co.uk for any reason, at any time at our sole discretion. Richmond Park Rouleurs reserve the right to vary the terms of this contract from time to time, such variations becoming effective immediately upon posting of the varied Legal Statement on Rprouleurs.co.uk. By continuing to use Rprouleurs.co.uk you will be deemed to accept such variation. Dispatch times may vary according to availability and subject to any delays resulting from postal delays or force majeure for which we will not be responsible. All items are non-returnable. In order to contract with https://rprouleurs.co.uk you must be over 18 years of age and possess a valid credit or debit card issued by a bank acceptable to us. https://rprouleurs.co.uk retains the right to refuse any request made by you. If your order is accepted we will inform you by email and we will confirm the identity of the party which you have contracted with. This will usually be https://rprouleurs.co.uk or may in some cases be a third party. Where a contract is made with a third party https://rprouleurs.co.uk is not acting as either agent or principal and the contract is made between yourself and that third party and will be subject to the terms of sale which they supply you. When placing an order you undertake that all details you provide to us are true and accurate, that you are an authorized user of the credit or debit card used to place your order and that there are sufficient funds to cover the cost of the goods. The cost of foreign products and services may fluctuate. All prices advertised are subject to such changes. The material displayed on this Website is provided without any guarantees, conditions or warranties as to its accuracy. Unless expressly stated to the contrary to the fullest extent permitted by law https://rprouleurs.co.uk and its suppliers, content providers and advertisers hereby expressly exclude all conditions, warranties and other terms which might otherwise be implied by statute, common law or the law of equity and shall not be liable for any damages whatsoever, including but without limitation to any direct, indirect, special, consequential, punitive or incidental damages, or damages for loss of use, profits, data or other intangibles, damage to goodwill or reputation, or the cost of procurement of substitute goods and services, arising out of or related to the use, inability to use, performance or failures of this Website or the Linked Sites and any materials posted thereon, irrespective of whether such damages were foreseeable or arise in contract, tort, equity, restitution, by statute, at common law or otherwise. This does not affect https://rprouleurs.co.uk’s liability for death or personal injury arising from its negligence, fraudulent misrepresentation, misrepresentation as to a fundamental matter or any other liability which cannot be excluded or limited under applicable law. Except where expressly stated to the contrary all persons (including their names and images), third party trade marks and content, services and/or locations featured on this Website are in no way associated, linked or affiliated with https://rprouleurs.co.uk and you should not rely on the existence of such a connection or affiliation. Any trade marks/names featured on this Website are owned by the respective trade mark owners. Where a trade mark or brand name is referred to it is used solely to describe or identify the products and services and is in no way an assertion that such products or services are endorsed by or connected to https://rprouleurs.co.uk. You agree to indemnify, defend and hold harmless https://rprouleurs.co.uk, its directors, officers, employees, consultants, agents, and affiliates, from any and all third party claims, liability, damages and/or costs (including, but not limited to, legal fees) arising from your use this Website or your breach of the Terms of Service. https://rprouleurs.co.uk shall have the right in its absolute discretion at any time and without notice to amend, remove or vary the Services and/or any page of this Website.